Palm Beach Finland is an odd little book. If it was made into a film it would rival some of the strangest movies ever made. At times I wasn’t sure whether it was the way the author intended or the translation that made the plot so ‘out there’ – Think of it as a Tarantino-Esq book. The story begins with someone being killed in a house, accidentally and in a most bizarre way, but the person isn’t the owner and no-one knows who they were. We then move onto the owner of the property returning. Olivia Koshi has inherited the family home after the death of her father. The house is in need of a lot of repairs and Olivia is flat broke. The house is also on the edge of the new holiday resort, Palm Beach. Detective Jan Nyman is going undercover to find out who the killer or killers were. His cover is that he is a maths teacher on vacation. What Jan discovers is an exceptionally strange holiday resort – Palm Beach, run by Jorma Leivo. Jorma is a man who is determined to make the holiday resort a success and throws everything at making it that way – Legally or not. As you can tell from the small snippet I have given you, the book is completely and utterly different from anything I have ever read. I was unsure how I was going to fair with it at first and three chapters in I was thinking of giving up as I kept on having to re-read sections to fully understand them. However, I like wacky things, so why should this book be any different, so I continued. 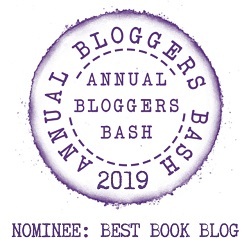 The book has an undertone of having a dark sense of humour, I was never quite sure whether I should be laughing or in shock at some of the scenes. The character development is superb and I especially loved Jan and his detective skills. After my initial concerns, I soon realised that I was whizzing through the pages and I was fully submerged in this outlandish book. Sometimes you need a break from the norm and this book will certainly give you that. Finnish Antti Tuomainen was an award-winning copywriter when he made his literary debut in 2007 as a suspense author. The critically acclaimed My Brother’s Keeper was published two years later. 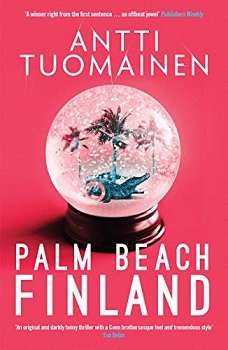 In 2011, Tuomainen’s third novel, The Healer, was awarded the Clue Award for ‘Best Finnish Crime Novel of 2011’ and was shortlisted for the Glass Key Award. Two years later, in 2013, the Finnish press crowned Tuomainen the ‘King of Helsinki Noir’ when Dark as My Heart was published. With a piercing and evocative style, Tuomainen was one of the first to challenge the Scandinavian crime genre formula, and his poignant, dark and hilarious The Man Who Died became an international bestseller, shortlisting for the Petrona and Last Laugh Awards. sound like my type of book, also it does sound pretty fun. It was a really fun book to read. I usually quite like books on the quirky side so I may have to check it out. Great review. It is definitely quirky. I hope you get to read it sometime. I’ll have to give this a try. Cray cray is fun! Great. You should definitely read this book then. It kinda has this Weekend at Bernie’s vibe. Have you seen that movie?! No I’ve never seen the movie. I have a huge list of movies I really should watch and this is one of them. I want it! Fabulous review. Great. I hope you get to read and enjoy it. Interesting! I love books that end up surprising me! Thanks for sharing your thoughts on this one. Great review Stacey, Now I am really intrigued and very curious about this book I really love reading books that is out of my usual reads. I’m really glad this book was worth the read for you, thank you so much for sharing your awesome post and for putting this book on my radar. Thank you and you’re very welcome.